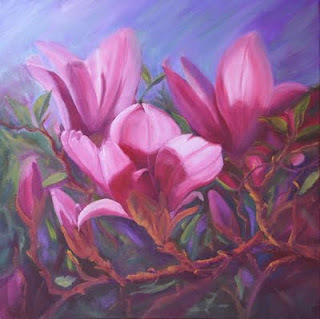 This month's challenge in the Floral/Botanicals forum of wetcanvas was that beautiful spring flower the magnolia. This was painted from a combination of two photos, one of my own and the other from this month's host. Stunning, you certainly can bring the flower to life. I recently came across a shopping comparision site about flower painting. Check it out at www.floweroilpainting.com .